Experts warn that sleeping near the mobile phone for a long and regular time may end up causing different diseases such as cancer and advise not to have the phone stuck to the body for long periods of time. The California Department of Public Health (CDPH) has warned about the risks of electromagnetic radiation emitted by the mobile phones. The agency asks people to avoid excessive use of the mobile phone and not always carry it with you as it usually happens in most cases. “Although science is still evolving, there are concerns among some public health professionals and the general user about prolonged exposure and high use of energy emitted by mobile phones,” says CDPH director Dr Karen Smith. This warning comes from the findings that were uncovered last week on a 2009 document issued after an order from the Sacramento Superior Court. However, a year ago, Professor Joel Moskowitz, of the University of Berkeley, initiated a demand for the department to disclose the findings after investigating that the excessive use of the mobile phone increased the risk of developing tumours. ” Mobile manufacturers want you to keep the devices at a safe distance from your body, and you should know that distance. If you keep the phone close to your body, you will exceed the safety limits provided by the FCC,” says Joel Moskowitz at the KRCA news station. Is it Bad to Leave Charging the Mobile All the Night? According to the Federal Communications Commission (FCC), there is no national standard on security limits. However, the agency requires telephone manufacturers to ensure that their devices respect the objective limits for safe exposure. What exactly does the California Department of Public Health recommend? 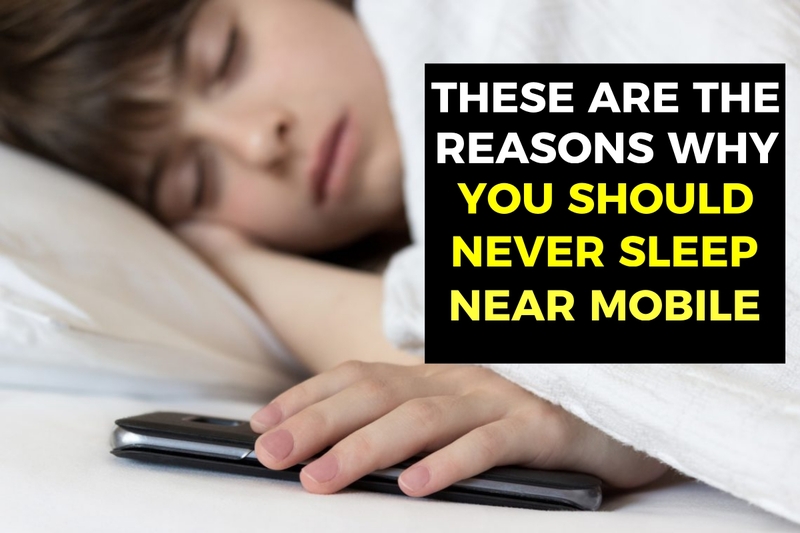 These are recommendations similar to those made by the Department of Public Health of Connecticut in May 2015 that warn about the risks of sleeping near the mobile phone. Now that you know the health consequences of using your mobile phone for a prolonged period of time, are you going to follow any of these recommendations? Would you like to add any other important points to these recommendations? Then write them to us through our contact us page and we will include them in this article as soon as possible. How many hours per day do you use your mobile?